The 5 hour workshop includes respected speakers with tea and lunch break. And at the end of the day each lady leaves the workshop with a self glammed facebeat and amazing goodie bag filled with makeup and accessories. 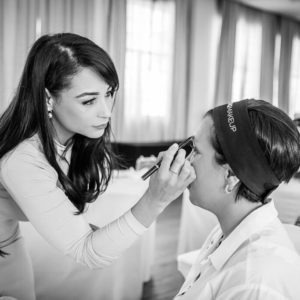 OnQmakeup Workshop is for that everyday woman who wants add glamour, confidence, professionalism and fierceness to their lives not for others but for yourself. Please note: the amount payable is a deposit only. The full amount of R1200 (less deposit) is to be paid at least 2 weeks prior to the booking date. 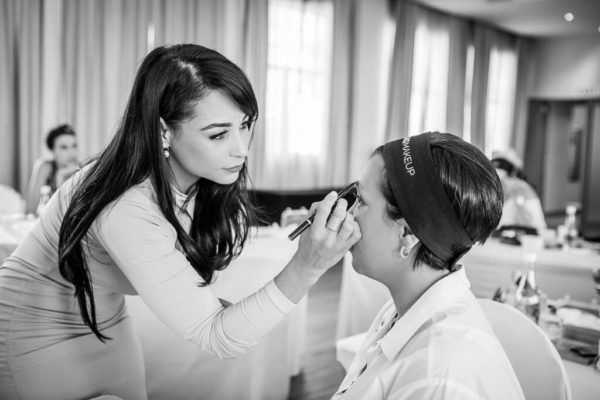 The OnQmakeup Workshop is all about the glitz and glam and delivers every makeup expectations. We teach ladies the importance of skin care, what makeup colours be it foundations to lip colours is best suited for certain skin types and tones. We focus on the popular contour and highlight, creating the perfect brow shape, day and night look, what each brush style and shape is used for and so much more. We focus the queries and questions ladies want to know about and of makeup.